International Conference on District Energy 2013, which will be held in Bernardin Group Hotels & Resorts, Portorož,Slovenia on 24-26 March 2013.This year's SDDE conference will focus on legislation and legislative barriers to improving the efficiency of energy systems at all levels, from production and transmmission to distribution and consumption. 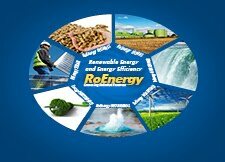 Special emphasis will be put on the use of renewable energy and new business opportunities. Some further essential issues that importantly contribute to the development of district energy include financial mechanisms and models.